Audionoggin is specifically designed for an active lifestyle and does not rely on direct contact with your ears. “The Noggin” is a small device that quickly and securely snaps to your hat or helmet, positioning an ultra thin high-fidelity speaker above each ear. The over ear speakers provide a unique high quality listening experience without the pain and frustration of regular earbuds falling out. 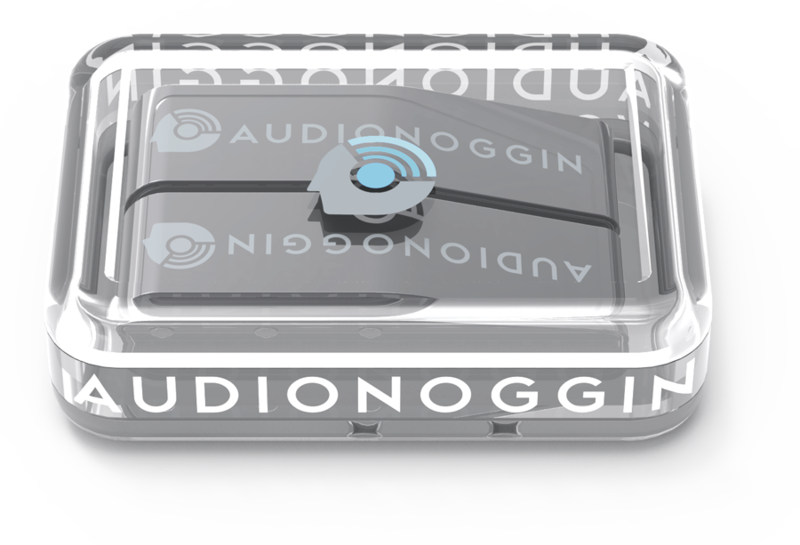 Audionoggin's Ear Relief system uses neodymium magnets to quickly and securely attach to your helmet, hat or visor. Stop getting tangled up in you music. 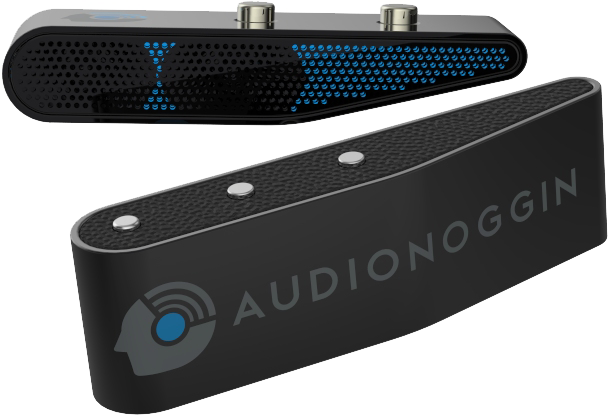 Connect Audionoggin to your phone via Bluetooth and the speakers wirelessly connect to each other. They are not headphones and they certainly are not earbuds! Audionoggin lets your ears be ears and not storage containers. Each Audionoggin satellite speaker has two 10x18mm high fidelity drivers that work together to produce an unique surround sound experience. Enjoy up to 5 hours of hassle free music. Snap it on and hit the road, your legs may get tired but your ears won't. Nothing in your ears means more comfort, less hassles and greater environmental awareness. At only 12mm thin Audionoggin packs big sound into a sleek design. Adjust the volume, answer a call or change songs without slowing down or fumbling for your phone. No wires means no worries. The Charging Case keeps your Noggings fueled up, protected and ready to go when you are. Let the music take your misery away. Rain or shine, Audionoggin will always perform. Sign up and be the first to know when the Earvolution has begun.